Former Egyptian Ruler Hosni Mubarak was a puppet of United States and a Israel who was receiving billions of Dollars from US and Israel for keeping silence on Israeli terrorism against people of Palestine. 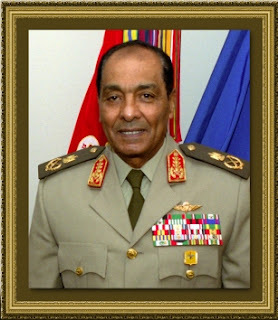 When People of Egypt got rid of Honsi Mubarak through a revolution US and Israel got upset on possibility of a independent Government in Egypt..
After Withdrawal of Hosni Mubarak the rule of Egypt is in hands of Egyptian Army until the Elections takes place. According to media reports Israeli Prime Minister Benjamin Netanyahu has met Egyptian Army Chief Mohamed Hussein Tantawi. They meeting taken place secretly due to angriness of Egyptian people towards Israel. Its not clear yet that why this meeting has taken place. maybe US and Israel are trying to bring another puppet in rule of Egypt.